This information is made available for customers who began their service with CREDO Mobile prior to the dates listed below. If you are looking for information on our current plans, please visit this page, as the information here will not be relevant for members who joined after December 19th, 2017. If you have one device on your account, you receive a single pool of data per month. If you exceed your data allowance, overage charges apply (see chart at bottom). If you have more than one device on your account, all the devices are included on a Shared Data plan. Under this plan, all devices share a single pool of data per month. If that data allowance is exceeded, overage charges apply (see chart at bottom). Plans include personal Wi-Fi mobile hotspot for hotspot-capable devices. Mobile hotspot data use is part of your plan allowance. Plans include unlimited domestic voice minutes and unlimited domestic text messaging. There is an additional monthly line fee for each line on your account. See chart at bottom for details. There is no charge for domestic long distance or calls made to Canada and Mexico while you are on the CREDO network. You can use your CREDO phone while traveling abroad in select countries. View rates and details. Unless you blocked international calling, you can make calls from the U.S. to international numbers and while traveling abroad. You can block international calling in Member Services by clicking change services next to your phone on the homepage. You can also email your request via our online contact form or call customer service at 800-411-0848. View rates and details. Your monthly plan fees do not include applicable taxes and supplemental fees or international charges. CREDO Mobile members with service contracts start out with an early termination fee. Effective July 1, 2016, the early termination fee is $375 per line for smartphone lines, reduced by $10 for each full month you continue your service, and $175 per line for tablets and other devices, reduced by $5 for each full month you continue your service. (For example, after 10 months, your early termination fee for a smartphone will be $275.) For device contracts prior to July 1, 2016, the early termination fee is $325 per line for smartphone and tablet lines, reduced by $10 for each full month you continue your service, and $175 per line for all other devices, reduced by $5 for each full month you continue your service. Mobile content (such as ringtones, wallpaper) may be downloaded on select phone models. Charges for mobile content purchased on non-smartphones will appear on your CREDO bill, including charges on behalf of other companies. You are responsible for all charges for mobile-content purchases made with any phone assigned to your account. Donations are made at no extra cost to you. One percent of your monthly charges will go to the progressive nonprofit groups we're funding this year. Individual: If you have one device on your account, you receive a single pool of data per month as specified below. Shared: If you have more than one device on your account, all devices share a single pool of data per month. 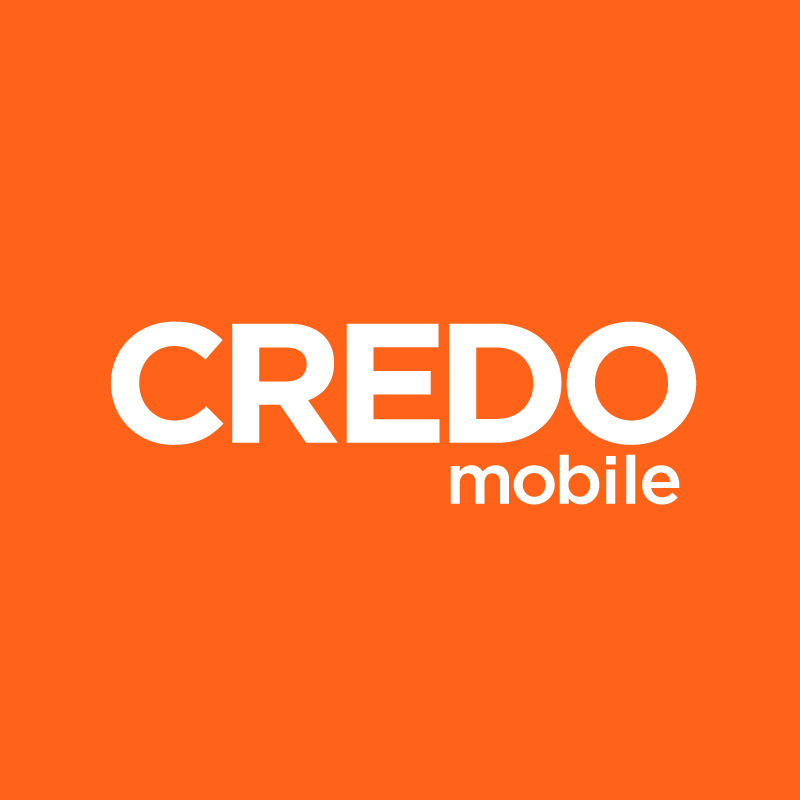 CREDO Mobile offers a variety of voice plans for individuals and families. And all of our plans come with one very special feature—automatic donations, at no extra cost to you, to nonprofit groups fighting for progressive change. Please read below for plan details. If you'd like to switch to a different plan, please sign in to Member Services. If your plan isn't listed, please call 800-411-0848 for more information. Plans include unlimited in-network CREDO-to-CREDO calling, and unlimited nights and weekends: Monday-Thursday, 9 p.m. – 7 a.m., and 9 p.m. Friday to 7 a.m. Monday. Earlier start times are available for a monthly fee. Minutes are deducted for all calls made or received on the nationwide digital network. Calling rates are determined by the time of day a call is initiated. All calls are billed to the next highest minute. Unused minutes are not carried over to the following month. Domestic text messaging is 20¢ per message, sent or received, unless enrolled in a discount plan. Domestic web browsing is $1.99 per megabyte unless enrolled in a discount plan. Directory and Operator Assistance are $1.79 per call, plus airtime charges. Call forwarding from your CREDO Mobile phone to another line is included at no additional charge and does not use airtime minutes. Minutes will be deducted for three-way calling. All CREDO Mobile members with contracts start out with an early termination fee. For smartphones, the early termination fee is $325 per line, reduced by $10 for each full month you continue your service. (For example, after 10 months, your early termination fee for a smartphone will be $225.) For all other phones the early termination fee is $175 per line, reduced by $5 for each full month you continue your service.